What is an SSL connection certificate? This connection is not trusted! The connection to the server is not considered secure. !The service user creates the databases. A separate certificate is also generated for each database. Therefore, the service user must be a local administrator or a domain administrator, as otherwise they would have no rights to save data in the certificate store. 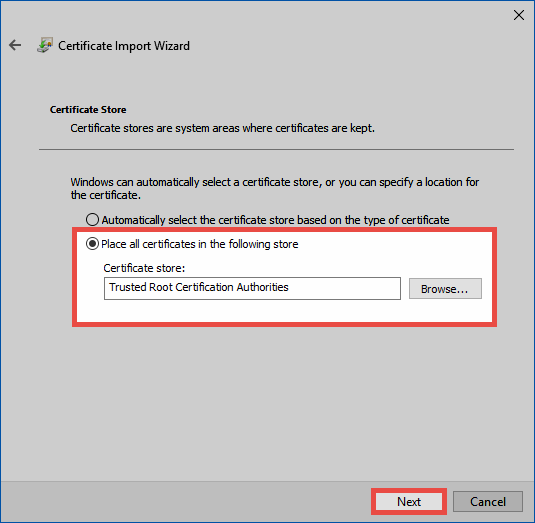 Communication between the client and server can only take place using the path that is stored in the certificate with the alternative applicant. Therefore, the Password Safe certificate stores all IP addresses for the server, as well as the hostname. When creating your own certificate, this information should also be saved under the alternative applicant. *All information (including the IP address) are stored as DNS name. *The certificate is valid from its creation up to the year 9999 – and is thus valid almost indefinitely. For this reason, it is not necessary to note any expiry date. The certificate can be both rolled out and distributed using group guidelines. 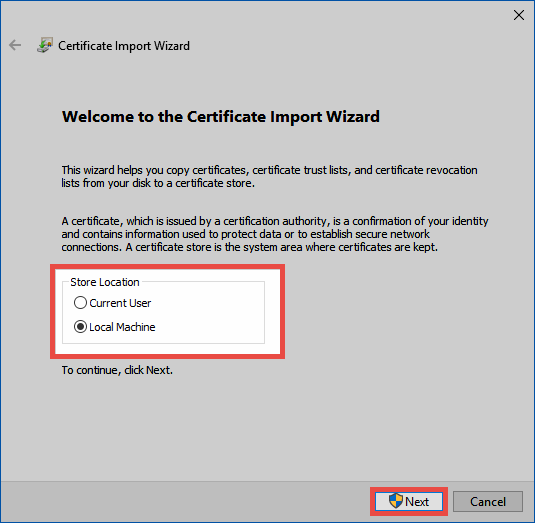 A Certificate import wizard will open in which Local computer should be selected. 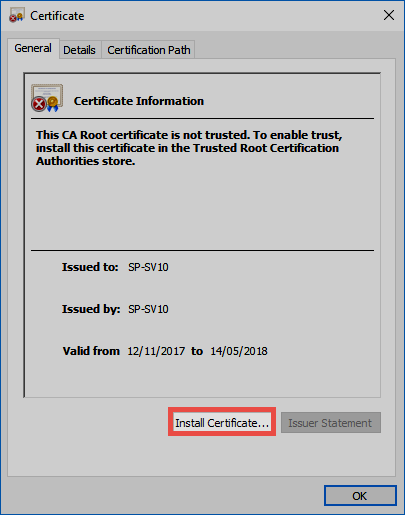 In the next step, the storage location “trusted root certificate location” needs to be manually selected. Finally, the installation needs to be confirmed once again. If a CA already exists, you can also use your own certificate. You can specify this within the basic configuration. Please note that a server certificate for SSL encryption is used here. The CA must be configured so that all clients trust the certificate. It is necessary to adhere to the certification path. Wildcard certificates are not supported. In theory, it should be possible to use them but we cannot help with the configuration. You can use wildcard certificates at your own responsibility.